In 2002, Mark decided to sit down and pen his first screenplay. Ten days later, Marcello’s Date (later to be filmed as Marcello Marcello) was written and within days, started to gain interest from the industry. It went through three producer’s hands before being secured by Swiss/French director, Denis Rabaglia who, in 2007, brought it to life in Italy on a co-production through C-Film and Zero Pictures on the island of Ventotene. Marcello Marcello: Italy, 1956. In the picturesque island of Amatrello, a unique custom keeps the young men of the village busy: when a girl turns eighteen, every boy is invited to bring a gift for her first date. However the gift is not for the girl, but for the father… who will ultimately determine which boy takes her on her first rendezvous! Eighteen-year-old fisherman’s son Marcello doesn’t care about this tradition until he sets eyes on the enchanting Elena, the daughter of the Mayor, who has returned to the island and – according to the tradition – has come of age. As time runs out and competition rises, Marcello comes up with the perfect gift for the Mayor. But getting that gift isn’t easy. Soon, he is forced to barter with the entire village, as everyone seems to want something from someone else. Marcello’s frantic quest ensues, evolving into a process of reconciliation among the village’s inhabitants. Kaya: In June 2011, Mark was commissioned to write a screenplay about the life of Mauritian musician and political icon, Joseph Topize, locally know as Kaya. 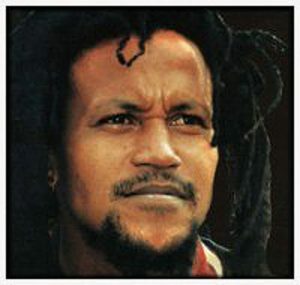 Born in 10 August 1960, Kaya became famous as the creator of “Seggae”, a fusion of sega and reggae, two of the most popular music genres in Mauritius. A local hero, Kaya went on to tour in Europe with his friend and peer, Bob Marley. On February 16, 1999, and at the height of Kaya’s success, the republican movement organised a free concert for the decriminalisation of ganja and there he was arrested and taken to prison. Despite his wife and supporters raising the 10,000 rupees for the release of the artist, due to various blunders of the lawyers and especially a lack of political support for the MR to release quickly, Kaya was never released and was subsequently found dead in his cell on the morning of Sunday, February 21, 2013. The official version states that Kaya, suffering from a lack of drugs, broke his skull by throwing himself against the walls of his cell. Against a second opinion requested by the wife of Kaya, conducted by a coroner, Dr. Ramstein, this theory was contradicted and showed that the victim had been beaten. To date, no official explanation has been forthcoming about his demise. Three days of riots followed soon after his death, causing one of the major social upheavals in both Mauritius and the surrounding islands.